My son and I don’t drink cow’s milk…we are allergic. A friend asked, where do you get your calcium from? I said from homemade almond milk and greens. He was completely shocked that you can actually make almond milk from almonds and asked lots of questions. I ran to my fridge and got him a glass of homemade almond milk. I anxiously waited for his reply. He said, “Wow, it tastes like…almonds and it’s so light and creamy!” He loved it! Yay! 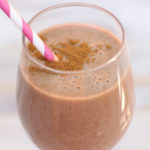 I remember when I wanted to learn to make almond milk, I took a raw vegan cooking class. It tasted amazing! I know how daunting this task can be if you have never made it before, but it really is SUPER SIMPLE. 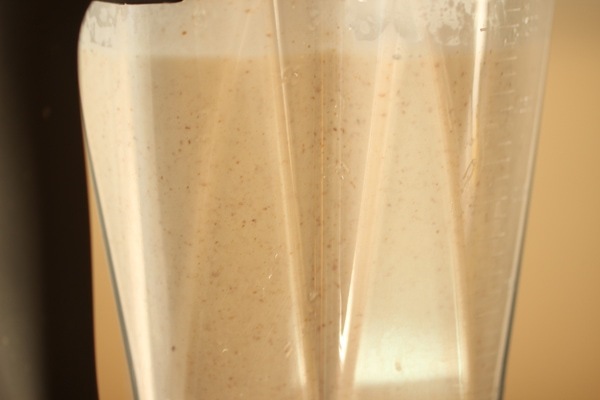 I have included a step by step tutorial of how to make almond milk. It’s easy. 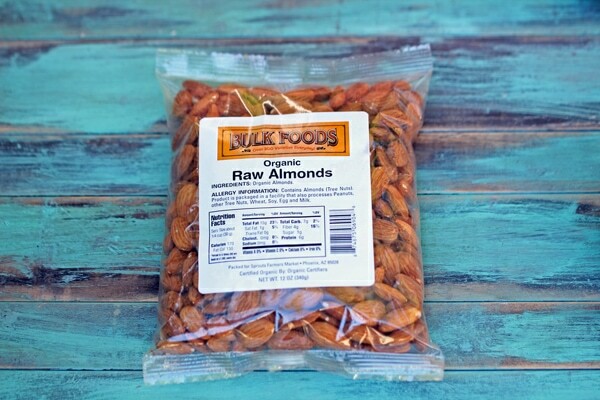 The first thing you want to do is buy raw almonds, preferably organic. You can find them at your local grocery store, farmers market, or online at Amazon. Next, measure two cups of dry almonds. Pour them into a large glass jar and cover fully with water. You will need 4 cups. Cover jar with a cloth and rubber band. Let the jar sit at room temperature on the counter for 6-12 hours. Overnight is okay too. This helps to activate the live enymes which make the nuts easier to digest. 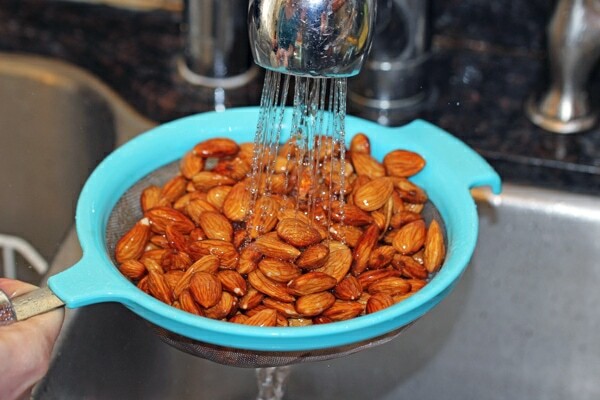 Soaking the nuts also remove harmful lectins and phytic acid that bind to essential nutrients in your body. After soaking, rinse the nuts really well and dispose of the soaking water. You DO NOT want to ingest the soaking water. Trust me. Years ago, before doing my research, I used the soaking water to make almond milk and my daughter threw up. It is full of harmful lectins and phytic acid. Oh, you live and learn. Next, add the soaked nuts to your blender, add 3 1/2 cups of water and blend until smooth and creamy. About 1-2 minutes. It should look like the picture below. The skins are completely pureed into tiny pieces. 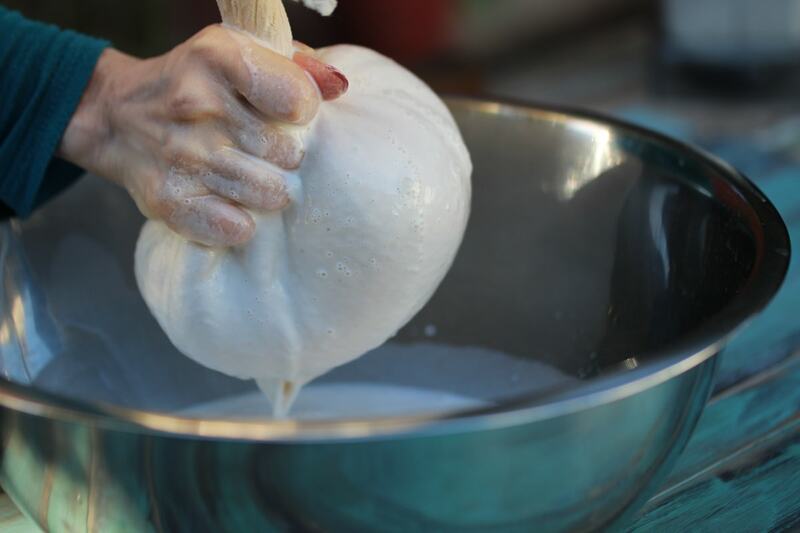 Line a large bowl with two layers of cheese cloth or a nut milk bag. Your local grocery store should carry cheesecloth. If you don’t have either, use a large finely woven kitchen towel. Now pour in the pureed almond mixture. Gather up all the sides and twist the fabric really tight. Squeeze from the sides and bottom to separate the milk from the pulp. This will take several minutes. Keep twisting the top and squeezing the milk out from the bottom until you get all the milk out. Use your strength!! When you are done, the pulp will be really dry. 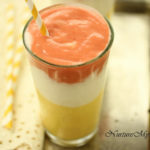 You can add the dry pulp to smoothies, dehydrate it to make almond flour or even make cookies with it. 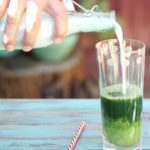 You can sweeten your almond milk with your favorite natural sweetener or pour it into a glass jar and drink it right away or refrigerate up to 4 days. I LOVE home made almond milk over oatmeal, in smoothies or mixed in with my green juice to make Gorilla Milk. For more delicious healthy gluten free/Paleo-ish meals, please subscribe below. You will get my free Paleo Breakfast E-Book as my gift to you and new recipes straight to your inbox! 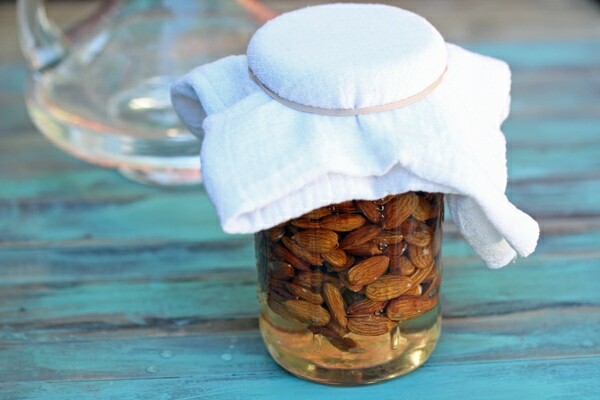 In a large glass jar or bowl, add almonds and 4 cups of water. Cover with a cloth and rubber band and set at room temperature for 6-12 hours. If you leave it longer, change the water at least once. 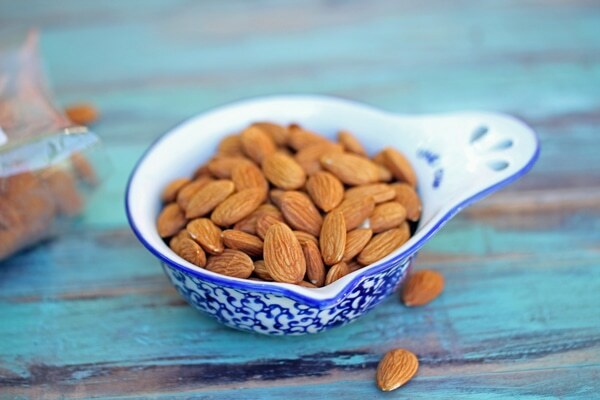 In the morning, drain water and rinse almonds well. Make sure to remove any brown film that surrounds the almonds. 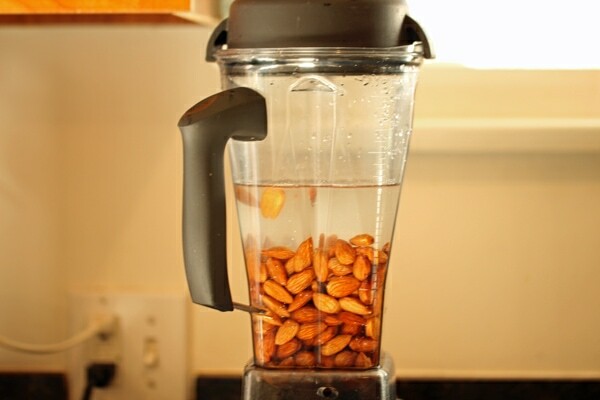 Add almonds and 3 ½ cups fresh filtered water to a blender. 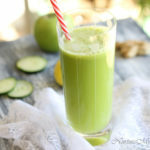 Blend 1-2 minutes at high speed until smooth. Line a large mixing bowl with several layers of cheese cloth or a cloth dinner napkin. 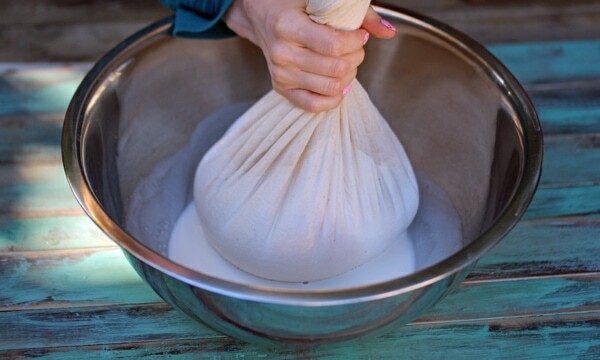 Pour almond milk mixture into cheese cloth or napkin and wrap all ends together. 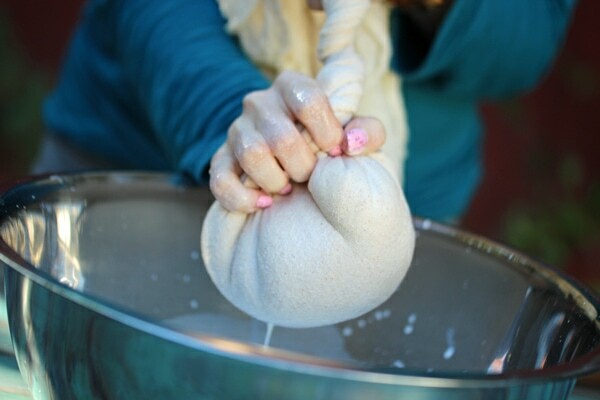 Gently twist the top of the cheesecloth or napkin and begin to gently squeeze out almond milk. 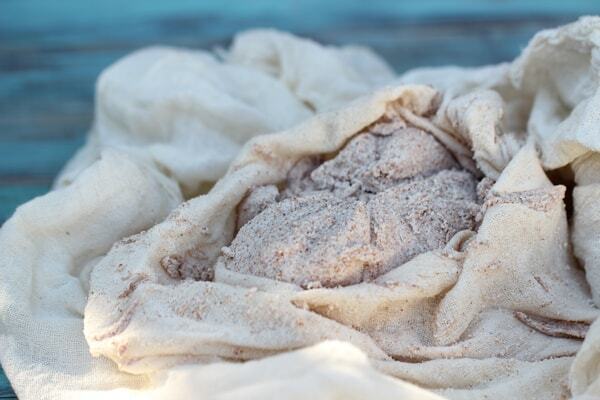 Tighten cheesecloth or napkin more and squeeze until all liquid has been removed from the almond pulp. If you want to sweeten it, pour almond milk back into a clean blender and add either dates, honey or stevia and vanilla extract. 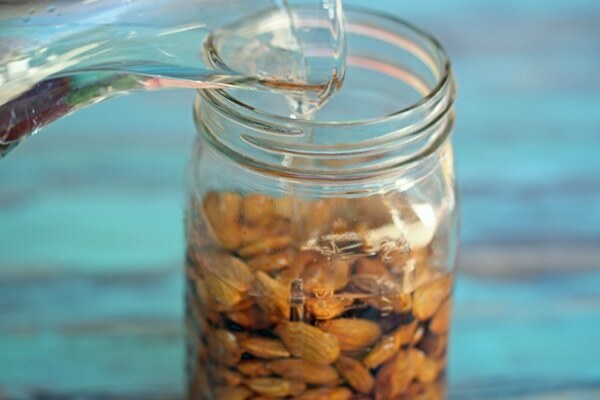 Drink immediately or store almond milk in a sealed glass jar in the refrigerator. Use within 4 days. Bon Appetit! 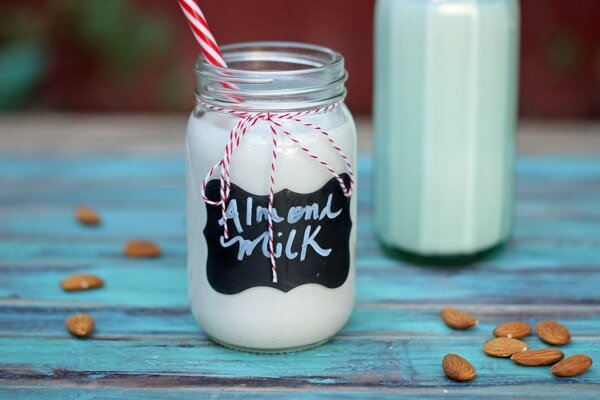 I would love to try this almond milk recipe. 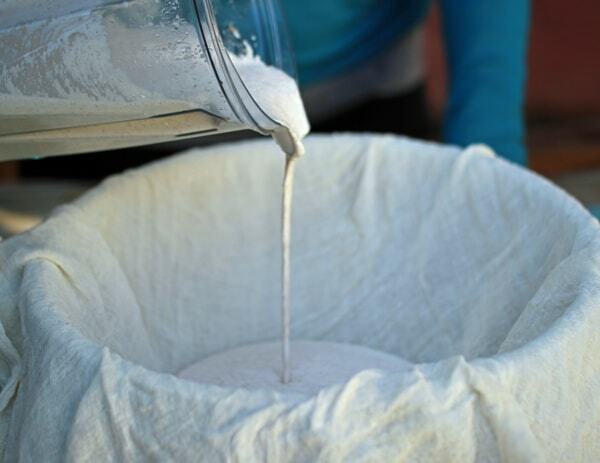 This homemade milk seems so delicious. Two of my kids are unfortunately allergic to nuts so we have to stay away. 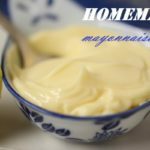 Great recipe thanks a lot for sharing the milk tastes so delicious and now I understood why we must soak the almond before blending, I din’t know that it was to activate the live enymes which make the nuts easier to digest. 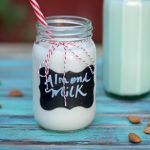 Here I too have some info regarding benefits of almond milk that will be a great value to all your readers.